A Bible Lesson for Preschoolers based on Mark 3:13-19. This is the lesson for our preschoolers at our church next week. It is about the 12 disciples, focusing on how they were called to be a part of Jesus’s team and how God wants US to be on Jesus’s team, too. Hope you can use it! 1. Help kids practice their listening and following skills with this fun activity! Play a game similar to Simon says. Call out a child’s name followed by an instruction. That child has to do what is instructed, but all the rest stand still (or continue doing what they were previously instructed to do). For example, you might say “Wesley – jump up and down”. Then Wesley would jump up and down until his name is called out again with a new instruction. Meanwhile, you might say, “Hunter-clap your hands”. Hunter would then clap his hands (at the same time Wesley is jumping up and down) until he hears his name followed by a new instruction. Every once in awhile, give an instruction for everyone: “Everyone – stand on one leg”. When you are finished playing the game, say: Great job listening and following instructions! In today’s lesson, we are going to learn about some people who heard their names and they FOLLOWED Jesus and joined His team! 2. Play a game that requires teamwork! Place a bowl full of cotton balls at one side of the room and an empty bowl at the other side of the room. Line your kids up so that they are stretched out between the two bowls. Their job is to get all the cotton balls from one bowl to the other using teamwork! The first child should pick up as many cotton balls as he can and hand them off to the next, who hands them off to the next, and so on until the last child puts them in the bowl. (If you only have a couple kids, have the first kid pick up the cotton balls and run to the second kid, who then runs to the bowl). When all the cotton balls have been placed in the correct bowl, say: Great job! You followed my instructions and worked together as a team! Today we are going to learn about some people who followed Jesus’ instructions and worked together as a team – Jesus’ Team! Beforehand, copy the picture of the 12 disciples found here (scroll down and you will find the printable) on hard paper. Decide which disciple is which and write the name on the bottom of each one (choices are Simon Peter, James son of Zebedee, John, Andrew, Philip, Bartholomew, Matthew, Thomas, James son of Alphaeus, Thaddaeus, Simon the Zealot, Judas Iscariot). Color them and cut them out. Attach a magnet to the back of each one. Find a metal pan (like a large pizza pan) that the magnet disciples will attach to easily. Today’s lesson is going to be a magnet story! Also beforehand, copy the “Join Team Jesus Magnet Person” on hard paper – enough copies for each child in your class.Click here to print off your magnet person: Join Team Jesus Magnet Person. Say: Have you ever played on a team? What kind of team? A team is a group of people who all work together to get something done! Each person on the team is important, and each person must do what the coach says. Today, we are going to talk about the team that Jesus had. We call Jesus’s team the “disciples”. There were 12 disciples. Can you count to 12? Let’s try! (Count to 12). Now let’s see if you can count to 12 when I put them up here. Are you ready? (Have the kids count to 12 again, this time counting each of the magnet disciples as you put them on the pan). Did you count 12? Good job! Let’s see what each disciple’s name was! (Read each disciple’s name). This was Jesus’s team! They followed Jesus and told other people about Him! They did all sorts of things for Jesus! Do you know what? God wants YOU to be a disciple, too! He wants you to be on His team, to tell people about Him, and to do what He wants you to do! Give each child a copy of the blank person. Have each child color on the blank person to make himself! Help the child cut the figure out. Put a magnet on the back of the figure. Say: Jesus wants you to be His disciple. He wants you to follow Him and do whatever He tells you. He wants you on His team! Have each child bring the magnet person that he just made up to the magnet and add it with the other disciples. Close by praying for each child to follow Jesus and be on His team. 1. Let your kids make their own set of 12 disciple magnets to take home. 3. Make a team banner together to remind the kids that they are on Team Jesus. Roll out a long piece of paper (or use posterboard and let the kids make their own signs). Write “Team Jesus” in big letters across the paper. Give the kids markers or crayons and have them draw things that they do to show that they follow Jesus. Examples could be: going to church, reading the Bible, praying, sharing toys, helping parents, telling someone about Jesus, etc. Hang the finished banner in the room. 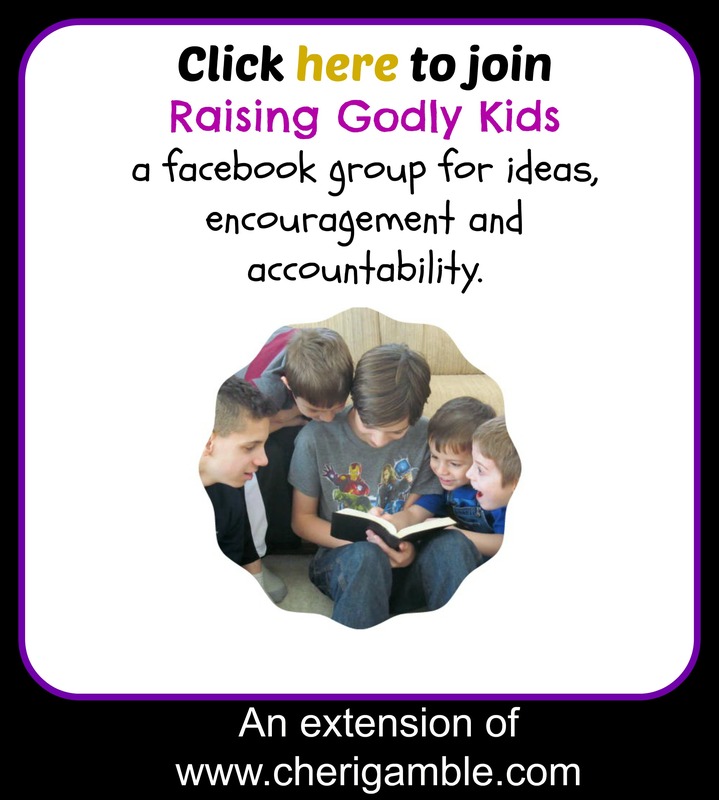 If you enjoyed this lesson, you might be interested in this 35 week study for families and/or churches over the book of James. Find out more here.